What is the Babywise Eat Wake Sleep Cycle? 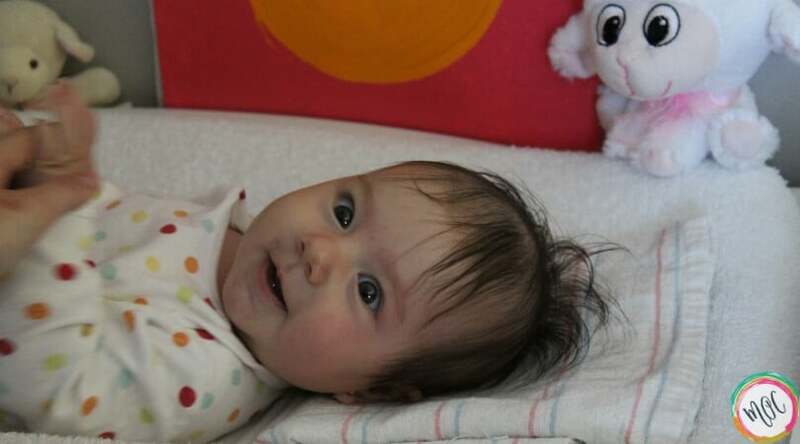 The eat wake sleep cycle is an invaluable tool for parents of newborns through 1 year of age. The eat wake sleep cycle is part of the Babywise method. It will help your baby sleep better, and will make your days go smoothly and predictably. 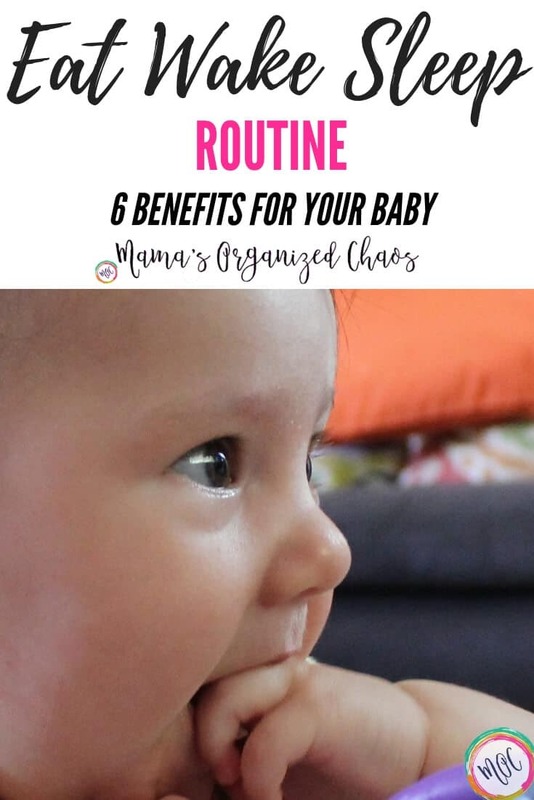 Whether you have an 11 month old, or a little one that’s just a few months old or even a few weeks old, they will benefit from this easy routine. Let’s talk about this routine a bit. A routine is a “sequence of actions that is regularly followed”. This routine is more than just a sleep schedule. 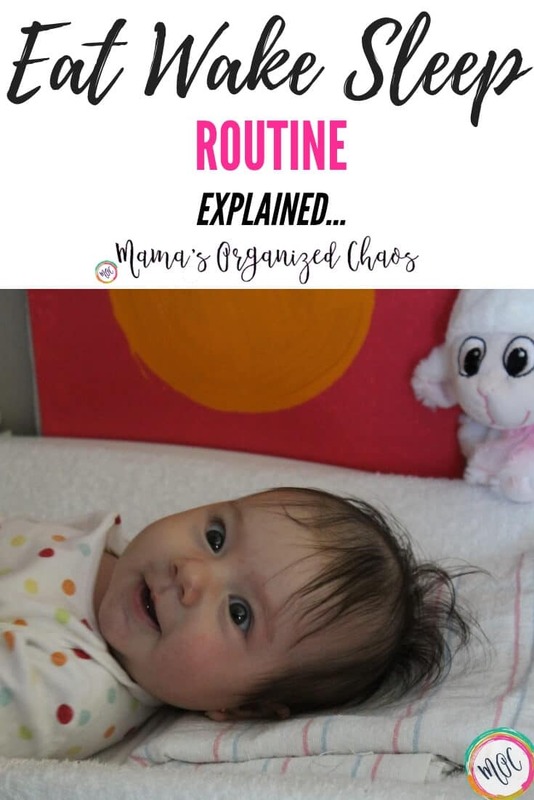 In fact, you can technically do the “routine” without being on any sort of a schedule, although I wouldn’t recommend that. What is the Eat Wake Sleep Cycle? FYI: (Eat wake sleep is often abbreviated EWS). Sometimes you’ll also see this called the eat play sleep method. Basically, your child eats, then has awake time, and then has time to sleep. You then repeat the cycle… eat time, wake time, sleep time throughout the day. The main purpose of this cycle is to prevent your child from doing a play eat sleep routine. If your child is accustomed to eating before sleeping, it can actually create a bit of a sleep crutch or sleep prop (meaning they rely on eating in order to fall asleep). This routine of inserting wake time between eating and sleeping helps to combat that sleep association. It also tremendously aids in having a smooth bedtime routine, and can help in avoiding difficult sleep training methods. We’ll talk more about this below when discussing the benefits of the eat wake sleep cycle, however. Eat – This is obviously when feeding occurs. This should occur right when your baby wakes up from a nap (within a few minutes is fine). Wake time – This is any awake time and happens after eating. 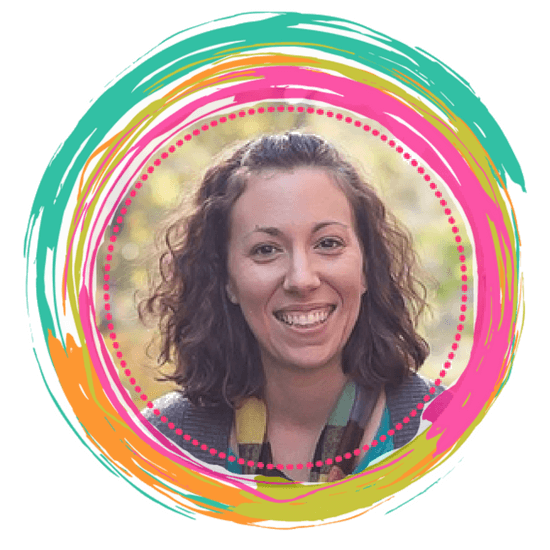 Although when figuring out schedules and total times, it technically includes the time babies spend eating, as well as playing, engaging, etc. Sleep – Time spent sleeping each cycle. Occurs after any wake time. What are the Benefits of the Eat Wake Sleep Cycle? With this routine, you are keeping your baby active during the day, and waking them when it is time to eat. At the newborn phases, you are actively keeping them awake pretty much at all times during the eat and wake portions of the cycle. At night, you let your child sleep as long as they can. The absence of the routine queues to them that they are to sleep longer stretches. Helps baby get full feedings. Newborns are notorious for taking short feeds and snacking. They then fall asleep and wake up starving. This method helps to prevent the newborn short feeds, and extends their feedings to good, full feedings. With this routine, babies only have certain times to each each cycle. They will get used to taking full feedings instead of snacking whenever they want. They learn that feeding time is time to eat.For a full list of tips on how to keep your baby awake during feedings click here. When accompanied with the right schedule, babies have longer naps. If a baby is kept awake too long, and becomes overtired, they will wake early from naps (usually around 30 minute naps). If a baby is kept awake for too little time, and is undertired, they will wake early from naps as well. Finding the right schedule, will help your baby to take nice long, effective naps. If you need help finding the right schedule, take a look at our schedules page (broken down by month). Even a 2 week old benefits from having consistency in their lives. They start to learn that they eat right after waking up, and that they then get some awake time, and then it’s nap time. You know when your baby will be awake and the hours they will be asleep. You can plan your day much better. Night is so key to having a good day. And day is so key to having a good night. If you can get your baby to sleep quickly and easily, their night will go better. Sleep begets sleep. The more sleep they get at night, the better their sleep will be during the day and vice versa. Having an eat wake sleep cycle, and wake time between feedings, helps your baby learn to fall asleep on their own, and helps bedtime happen more easily. Sleep training (if needed at all) will be much easier. Your child is learning to fall asleep without being nursed or bottle fed. This helps a great deal when they wake in the middle of the night. They won’t need to be fed to fall back to sleep (unless actually hungry). Enough said right? This is the first big step to having your child sleep well and be able to soothe themselves back to sleep at night without needing your assistance. That’s a win win! How to do the Eat Wake Sleep Cycle with a Newborn? Baby falling asleep while eating? Keeping baby awake during feedings can be difficult! Keeping a newborn awake is essential, however. Baby not getting much wake time? That’s ok. Even a few minutes of wake time is better than nothing at all. Make sure you look at these tips on keeping your baby awake during feedings, and find the right schedule for your baby. You’ll be well on your way to a successful eat wake sleep routine being implemented. How to wake a sleeping baby for feeding? Should you wake a baby to feed? It’s never fun to wake a newborn to feed. But it’s crucial to your newborn sleep schedule. Keep the lights out, and gently touch your baby, rousing them ever so slightly. Wake them up how you would want to wake up. It’s ok, I promise, and well worth any small amounts of crying that might ensue. Your baby will soon be happy and eating and will have forgotten they were upset from wanting to continue their nap. There is only so much sleep to be had during the 24 hour period in one day. You don’t want to use it all during the day. You want your nights to be as long as possible. So wake that baby and stick to your schedule! Note: I always allow 30 minutes of flex time when babies get a bit older. But at the newborn stage, you have to fit your feedings in and simply need to wake them on time. Starting Late with Babywise or the Eat Wake Sleep Routine? The good news is that it’s never too late to start this routine, and you don’t have to be a baby whisperer to achieve this routine throughout the day! This routine is easy to implement at any age. I always just go cold turkey on changes like this. If you’ve been feeding to sleep, just switch it. 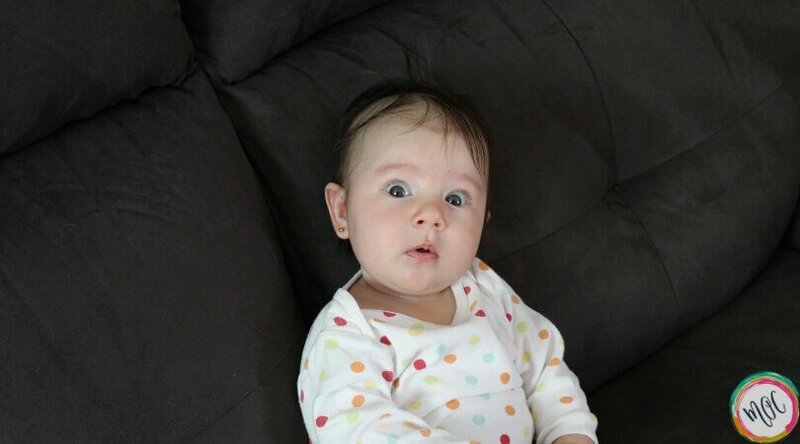 Babies are super flexible and adaptable. Starting tomorrow, or starting today, just make the switch. Focus on those full feedings, and start taking a look at schedules. In the meantime, implement eat, wake, sleep consistently and that will help you get there. More sleep for everyone is on the horizon once you start this. There are times that your child will wake early from their nap time. People always wonder what to do. Here is a full guide that I put together broken down by age, on how I handle these early nap wakings. It does change with age! If you pick just one thing to do, I’d implement a quiet, restful wake time before feeding your baby. In this way, you’ll stay on your feeding schedule, and you’ll be extending rest time the best you can. Restful wake time is better than a screaming baby, or one that is completely off schedule (since nighttime then won’t go well). Putting the work in to combine the eat wake sleep method with a schedule will tremendously help your baby. If the schedules are too much, however, the eat wake sleep routine can help a great deal on its own with setting your baby up for sleep success. We all hear the comments that you should never wake a sleeping baby. I know it feels weird when you do it, but I am so thankful that I put those comments out of sight and out of mind. 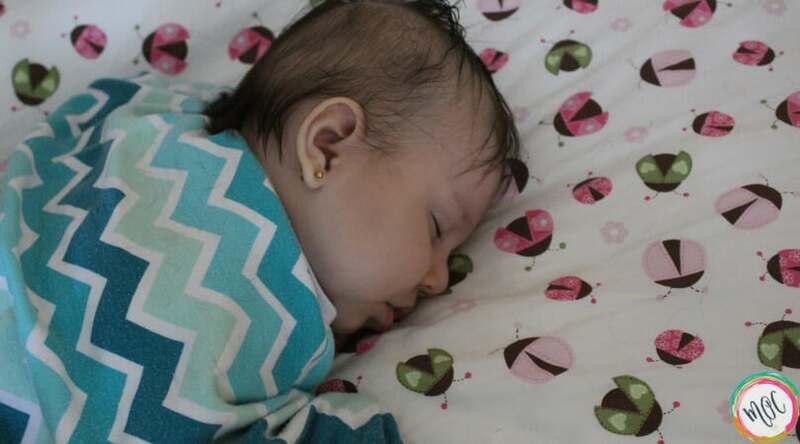 The combination of the eat wake sleep routine and schedules made us truly baby wise parents. This mama is forever thankful for the Babywise series!